Suzanne Brown received her PhD in 2012 from the Mandel School of Applied Social Sciences at Case Western Reserve University in Cleveland, OH. At the Mandel School, she was a NIDA-funded research fellow on a study of the social networks of women in substance abuse treatment, and conducted her own research on the parenting competence, parental bonding history, and social networks of mothers with addictions. Brown has authored or co-authored numerous peer-reviewed articles and book chapters. Topics of her published book chapters include Social Networks and Social Work Practice, Cognitive Theory and Interventions in Social Work Practice, Neurobiology of Addiction, and Gay and Lesbian Adoptive Families. Topics of peer-reviewed articles include Personal Network Recovery Risks and Enablers among Women with Substance Dependence; The Impact of Trauma on Quality of Life in Women with Substance Dependence; and Adoption Experiences of Gay and Lesbian Adoptive Parents. Brown has presented annually since 2008 at either the Council on Social Work Education or the Society for Social Work Research annual conferences. She was part-time faculty at the Mandel School from 2009-2012, and received the John Yankey Outstanding Adjunct Teacher of the Year Award. Brown received her MSW in 1994 from the Smith College School of Social Work and is an independently Licensed Clinical Social Worker in Michigan and Massachusetts. She was clinical director of an outpatient mental health organization in Boston, prior to receiving her PhD, and was responsible for supervising outpatient mental health services, case management services, and day treatment programs for adults and elders with persistent mental illness. She has provided clinical services and psychotherapy to adults, children, and families. 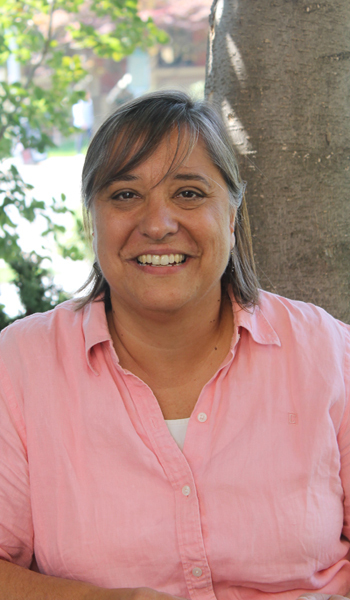 In her clinical practice she uses an integrative approach, incorporating methods from relational psychodynamic, cognitive-behavioral, family systems, and narrative perspectives within a trauma-informed framework. The effects of maternal substance abuse on children have been widely documented. Babies born to substance abusing mothers are more likely to experience hyperactivity, irritability, and attention and learning problems than babies born to non-substance abusing mothers. These issues then make parenting these children more difficult, increasing the risk for child maltreatment and making it more difficult for these children to form secure attachments to their caregivers. Mothers with substance use disorders frequently show parenting deficits such as less sensitive interactions with their children and difficulty in appropriately interpreting and responding to their children's cues. In spite of these deficits mothers with addictions frequently view their own parenting as non-problematic. The purpose of this study is to examine associations between perceived parenting competence in mothers with substance use disorders and multiple constructs purported to affect parenting competence. These include shame, trauma exposure, illusory control, reflective functioning, social support, and addiction severity. The long-term goal of this research is to develop better interventions and treatment processes to assist mothers with addictions and their children. Substance abuse/addiction and/or mental illness is the most common reason for the loss of child custody by parents. Attainment of sobriety by women in substance abuse treatment does not automatically improve the mother-child relational quality. The current research proposes the conduct of focus groups to determine feasibility and interest in developing parenting enhancements during substance treatment. The first aim of this study is to determine interest, feasibility, and developmental ideas regarding the prospect of a parenting enhancement in substance abuse treatment from the perspective of clinicians. The second aim is to use data gathered from the clinician focus groups, determine interest, feasibility, and developmental ideas regarding parenting enhancement in substance abuse treatment from the perspective of clients. Substance abuse, violence and mental health disorders are inter-related problems affecting the health and wellbeing of individuals, families and communities. Addressing these problems can significantly decrease health risk behaviors and health consequences. The purpose of the current project is to develop a substance abuse, violence and mental health affinity group within the School of Social Work. The long-term goals of this group are to increase research collaboration among faculty members conducting research in these areas and build stronger partnerships with service providers in the Detroit metro community. One primary objective of this project is to conduct two collaborative pilot studies, one of which involves implementation of focus groups with addictions treatment providers regarding the training needs of service providers in the areas of addictions, violence, and mental health. Additionally, this group is developing a second pilot project to examine the overlapping areas of substance abuse, violence, and mental health. Given the importance of associations between substance use, violence and mental health problems, we will also disseminate pilot study findings through a brown bag lecture for service providers, practice brief, and inform curriculum development.